These markers feature archival, acid-free premium pigmented ink to prevent works from deteriorating over time. Lightfast colors maintain their vibrancy (results may vary based on paper characteristics). The permanent, water-resistant ink will not bleed through and is smear resistant when dry. Fine Line Markers are great for detail work. Brush Tip Markers offer the artist the control and flexibility of a brush for creating thick, thin or varied lines. Chisel Tip Markers are ideal for smooth lettering, outlining, covering large areas, and freeform drawing. Non-toxic. 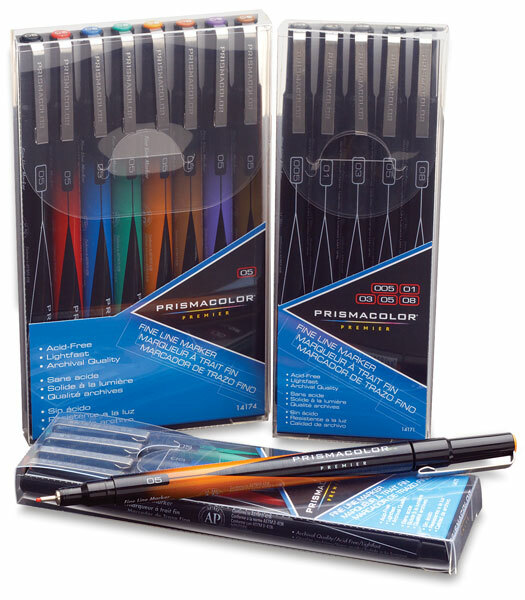 Sets of 8 — Contains eight markers in Black, Red, Blue, Green, Orange, Sepia, Purple, and Brown. Available in Fine Line (05 nib), Extra Fine Line (005 nib), Brush Tip, or Chisel Tip sets. Basic Colors, Sets of 4 — Contains four markers with a 05 nib, Brush Tip, or Chisel Tip in Black, Red, Blue, and Green. Black, Set of 5 — Contains one Black marker in each of five nib sizes: 005, 01, 03, 05, and 08. Black, Set of 4 — Contains one Black marker in each of four nib sizes: 005, 05, Brush Tip, and Chisel Tip. Black, Set of 7 — Contains one Black marker in each of seven nib sizes: 005, 01, 03, 05, 08, Brush Tip, and Chisel Tip. Manga, Set of 8 — The eight-count set includes one Black 005 Fine, Black 03 Fine, Black 05 Fine, Black 08 Fine, Black Chisel, Black Brush, Sepia 005 Fine, and Sepia Brush. See all the features and benefits of using these premium pigmented, acid-free, archival ink markers. They are lightfast, permanent, non-toxic, and water resistant when dry. 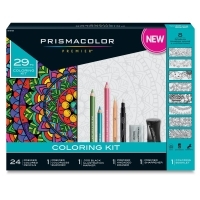 Use these markers for crisp, detail work in artistic and technical applications.